SCOPE Productions: Person L @ The Picador! Person L @ The Picador! BREAKING NEWS! Or maybe not so breaking but Person L will be performing at The Picador on November 18th. Person L is the latest side project of Starting Line front man Kenny Vasoli. 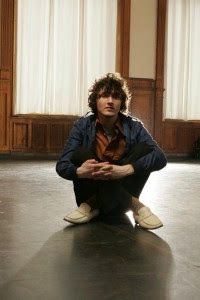 Joining him will be Straylight Run frontman John Nolan and Brian Bonz. I'm banking that the show is going to be pretty sweet. Also it was announced that Person L's new album will be called The Positives and it will be released on November 17th.